Ireland’s discount retailer Dealz today (Friday 27 September), celebrated its second anniversary of trading here by opening its 30th store and announcing plans to open 10 more Irish stores in the new financial year. It is believed the opening of the new stores will create 250 new jobs in the coming months. 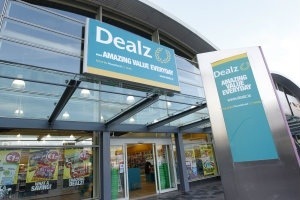 Dealz’s 30th store is located at Galway Shopping Centre and has almost 9,000 sq ft of retail space. The opening of Dealz Galway has created 30 new jobs for the local area and brings the total number of jobs created in Ireland to date to over 750. Since launching in Ireland in late September 2011, Dealz has invested over €8.3 million into the Irish economy. Today’s announcement will mean a further commitment of over €1.75 million over the next 15 months. Despite losing some of its luster over the past year, Apple tops the list for the ninth consecutive year. Its biggest competitor, Samsung, moves to just one spot behind it, making next year’s list one to watch. The vast majority of the companies on the list fall into just three categories: technology, consumer and retail, and automotive companies. 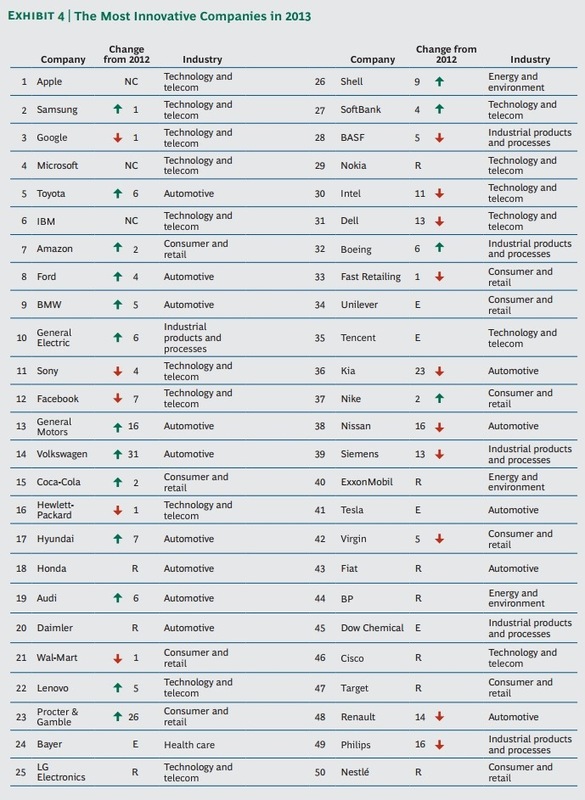 Technology dominates, making up half of the companies in the top 10. Meanwhile, the automotive sector, which has had to step things up to meet consumers’ increasing demands, saw the biggest leaps, with three companies in the top 10 and Volkswagen jumping 31 spots. 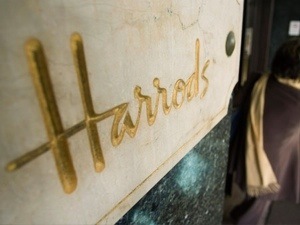 Harrods, the luxury London department store bought by Qatar in 2010, is set to undertake a multi-million refurbishment as part of the Gulf state’s investment in the iconic brand. The main focus of the revamp will be focus on the infamous escalator, which was installed by previous Egyptian owner Mohamed Al Fayed and is believed to have been the first of its kind in the UK. The new escalator will cover seven floors of the store and other improvements will include the restoration of the copper cladding and lighting globes and the installation of a glass chandelier centrepiece designed in the US by Dale Chihuly, The Telegraph newspaper reported. “When Harrods’ owners, Qatar Holding, took over the business in May 2010, they publicly declared their desire to ‘upgrade the monument’ that is Harrods for all its customers,” Michael Ward, the managing director of Harrods, was quoted as saying. Sovereign wealth fund Qatar Holdings bought the Knightsbridge store in 2010 for a reported £1.5bn ($2.4bn). Last year, Arabian Business reported Harrods’ new owners have spent £32.7m ($50m) upgrading the store, installing 150 video screens designed to display the very latest in luxury advertising, adding six new restaurant spaces, a new luxury watch room late and payment systems that accept Chinese credit cards. 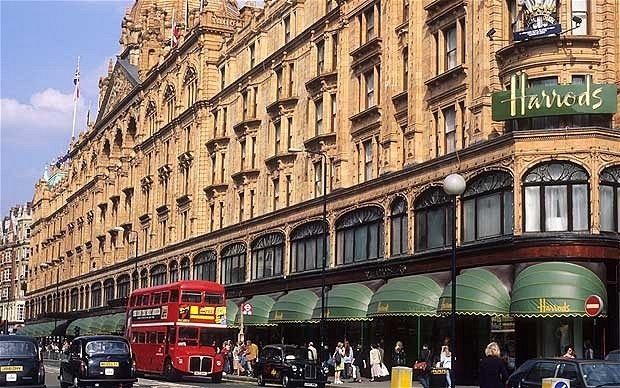 “There are a lot of areas in Harrods that are more geared around domestic tourists and that may change as the UK domestic tourist drops off and international tourism grows – I think capitalising on that is key,” Jonathan De Mello, retail analyst at London-based CBRE said in January 2012. In July 2012 it was reported Qatar Holding is planning to expand the Harrods name and open a series of Harrods-branded hotels around the world, including New York, Paris, London, Kuala Lumpur, China and Italy. The first hotel will be a 300-room hotel in Bukit Bintang, the shopping and entertainment district of downtown Kuala Lumpur and was part of a $635m deal announced today in the Malaysian capital. 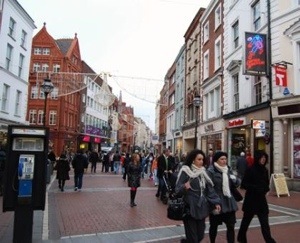 DUBLIN, Sept 27 (Reuters) – Irish retail sales increased by 2.6 percent in August from a year earlier, provisional figures from the Central Statistics Office showed on Friday. Sales volumes fell by 1.6 percent from a month earlier, in part due to a decline in car sales due to the impact of a new licensing system. Excluding car sales, retail sales decreased 0.2 percent compared to July. Dubai: The UAE is a point of entry for international brands that want to expand in the GCC and the wider Middle East and North Africa (Mena) region, according to exhibitors at the Franchise UAE Expo on Wednesday. The show will run until Thursday at the Al Bustan Rotana hotel in Dubai. Brands are setting their sights on the UAE because of its growing economy and proximity to other regional markets. “The UAE is a step into the region. Our closest market is Cyprus, but from Dubai, we can expand to the GCC,” said Theodoros Kringou of Montreal-based Presse Café, which offers coffee, sandwiches and pastries, among others. This year marks the brand’s second participation at the show. Presse Café currently has separate franchise agreements for the countries it operates in, including Canada, Australia, France, Cyprus, Senegal and Morocco, he said. Similarly, Asian restaurant-chain Barbecue Garden views Dubai as an entry point to the Mena region. Its large population makes it an attractive region to do business, said Robert Beausoleil, the brand’s director of franchise. “Mena is one of our target markets next year,” Beausoleil said, adding that the brand is looking for development partners in the region. “I suspect that we will get enough [deals] to close all of Mena within a month after the show,” he said. 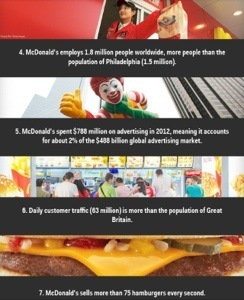 The franchise market in the Middle East is estimated to be valued at $30 billion. In the UAE, there are 850 local and international brands, which are growing at a rate of 16 per cent year on year compared to regional markets, Mana Al Suwaidi, CEO of Franchise Middle East Consultancy, the show’s organiser told Gulf News. There are 300 retail brands in the UAE, with 80 new ones entering the market between 2014 and 2015, and 80 service brands, according to Roy Seaman, managing director of Franchise Development Services (FDS) in the UK. Entry of brands to the UAE is easy compared to other regional markets. “The UAE does have a business friendly environment. I think within the region it’s advanced with its laws, so franchisors dealing with local franchisees can feel comfortable with the relationship they are entering into,” said Marcus Wallman, partner at Al Tamimi and Co., a law firm. There is no law for franchising in the UAE , but there is one being developed. A franchise law would “clarify obligations between franchisors and franchisees,” said Wallman. Meanwhile, there are “not enough” local brands expanding outside the UAE, Seaman said. According to him, the reason for this is a lack of education about managing an overall business operation, including setting business goals, managing time and teaching and motivating staff. Al Suwaidi said that although most local brands in the UAE are not franchised, they are seeking help from consultants. He added that local brands are capable of expanding internationally. “Local brands have a set of standards and quality that are on an international franchising industry level,” he said. Many of the brands that are entering the international space have a local flavour. 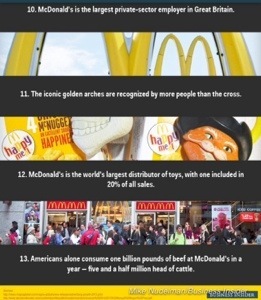 Some of these include camel milk brand Camelicious and Just Falafel, a food retail brand which opened its first outlet in Abu Dhabi in 2007. Fadi Malas, CEO of Just Falafel, said that strong demand from outside the UAE has allowed it to expand. “Our franchise operators in Egypt and the Saudi Arabia in particular have had an immediate receptive customer response and also in those interested in becoming sub-franchisees,” he told Gulf News in an e-mailed statement. Health-food retailer Holland & Barrett has unveiled its latest store in London’s Leadenhall Market in the heart of the financial district. 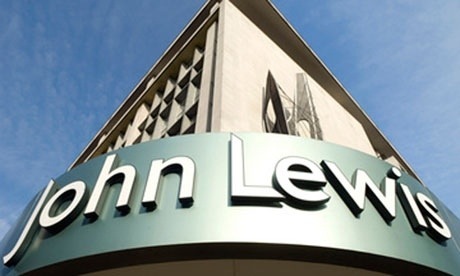 John Lewis is to offer its customers the facility to collect their online purchases from local convenience stores and petrol stations as part of a new trial. The trial will run in partnership with parcel service provider CollectPlus which has over 5,250 convenience stores, newsagents, supermarkets and petrol stations in its UK network. The service will initially be available at 1,500 of these locations in Scotland, Northern Ireland, Wales and the South West of England and will cost £3. The new service follows the successful launch of a free national returns offer in February, which gives John Lewis customers the facility to return online purchases from their local CollectPlus store. MUMBAI: Global real estate consultants, Cushman & Wakefield has estimated that the share of luxury retail space in India will be a modest 1.44% by 2015 as against the current 1% even as total retail malls stock is set to increase by 27% by 2015. The report released on Thursday highlights the changing luxury retail scenario in India. It said that of the total current operational mall space in the organized retail sector across the top seven cities of India is estimated at 66 million sq. ft. of which luxury retail space is only 770,000 sq. ft. The relative reach of luxury brands present in the malls of top seven cities in India is the highest in NCR at 38%, followed by 21% in Mumbai and 17% in Bengaluru. “NCR and Mumbai have been favoured destinations for luxury retailers as they have marked the evolution of mall culture in the country. However, lately luxury retailers have started focusing on Bengaluru as the next upcoming destination with its development as an IT Hub and higher disposable income,” it said. Meanwhile, cities like Pune, Chennai and Hyderabad are yet to gain traction from luxury retailers in malls as they have relatively low luxury brand reach and are yet to catch up with the mall culture to the extent witnessed in NCR, Mumbai and Bengaluru. A similar trend was observed while analyzing penetration of luxury retailers in each of these cities. 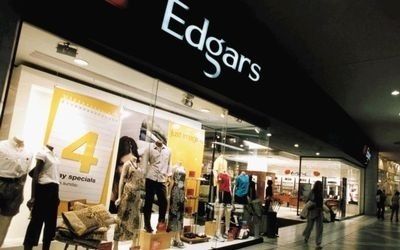 HARARE — The Zimbabwe associate unit of clothing retailer Edgars Stores is uncertain about the recovery prospects and future stability of the country’s economy, despite the conclusion of elections and the swearing in of a new cabinet. Edgars Stores Zimbabwe is shoring up its presence in the country by opening more new branches under the Edgars and Jet franchises. It competes in the Zimbabwean market against established clothing and apparel retailers such as Topics and other stores also offering clothing on credit. In the 26 weeks to July 6, Edgars Zimbabwe posted turnover of $22.1m while “store trading profitability increased 23.9%”. Unit sales grew 4.4%, and store trading profitability rose 23.9%. 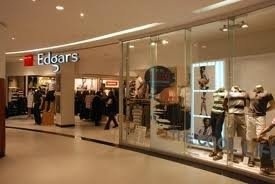 Edgars Stores Zimbabwe chairman Themba Sibanda said on Wednesday that during the six months to June this year, the company traded out of 24 outlets — one more than in the same period a year earlier. However, there are still doubts among business executives and investors over the restoration of certainty to the operating environment in Zimbabwe. Mr Sibanda said it was too “early to determine with certainty the direction in which the economy will move”. Nonetheless, Edgars Zimbabwe would “intensify efforts to improve product offerings and value within both retail chains while implementing tighter cost control” across the business. The group’s manufacturing unit had significantly recovered during the review period, with profits before interest and tax amounting to $118,901 compared with the previous contrasting period’s $141,664 loss. Trade receivables were $18.8m, a significant 14.7% increase on the same period last year. The number of credit accounts were 188,447 of which 72.5% were active, an improvement from the previous year’s 74%. Average handovers for the period amounted to 1.2% and 0.3% of lagged credit sales and lagged debtors respectively. Edgars Zimbabwe had provisioned 2% of its total debtors book for “doubtful debts”. Mr Sibanda said most of the group’s capital expenditure had been on new stores and refurbishments as well as improvements on the company’s factory, equipment and information technology systems. The company, founded in 2000, is now worth £4.3bn after a doubling of its share price in the last year. Asos said that sales rose 49pc in the UK in the three months to August 31, accelerating growth for the full-year to 34pc. On top of this, US sales rose 59pc over summer, Europe increased 73pc, and the rest of the world, including Australia, 26pc. Revenues for the full-year are expected to reach £769m, a 39pc rise on last year, with the UK accounting for £276m. This means that if Asos’s current growth continues, it will clear £1bn of annual revenues next year. The surge in Asos sales comes on the back of a new report from Verdict that claims online shopping will account for £1 in every £7 spent by 2018. Shares in Aim-listed Asos rose 360p to £51.93 in early trading as the company said the performance in the last three months means annual profits will be “above expectations”. Wayne Brown, analyst at Canaccord Genuity, said: “The ability to adopt a ‘disruptive pricing model’ sourced from multiple drivers, the key element being volume, is delivering significant opportunity. “In the next 12 months this will not only come from further price investment but the ability to enter into new markets and invest greater depth in core. “International growth continues to be driven by the countries in which there are dedicated websites and in-country teams, and was particularly strong in Europe, driven by France, Germany, Italy and Spain. Dixons Retail has whipped the covers off what it believes is the high street store format of the future. Retail giant Dixons’ store at UK shopping centre Bluewater is described as an ‘urban toy shop’ with a modern stylish design targeting young tech-savvy shoppers – with an emphasis on female consumers. The retail outlet has a flexible design and is based on extensive research and customer feedback, according to Dixons. The first of this new design and format, the new Currys & PC World Bluewater store aims to attract new audiences, with a particular emphasis on female and younger, tech-savvy customers. In-depth customer research showed that more needed to be done to attract these customer groups and the Bluewater store has been designed with this in mind: more feminine and attractive store design, and a greater emphasis on having fun with technology and an engaging and interactive in-store experience. The new store has a number of new innovations including stay and play areas featuring newly designed playtables with areas for customers to sit down and hang their shopping bags, whilst experiencing products or receiving expert colleague advice. The entire store, from colour palates to the fixtures and fittings, aims to provide a modern, clean and welcoming feel. This ambience is reflected in the improved product range, offering a more aspirational experience to fit the fashion-focused premium shopping location. From playtables on wheels that are powered from a grid in the floor, to entirely moveable wall fixtures, the fully flexible store can easily be adapted to meet customer demand and seasonal changes in product ranges and store design. A dedicated area will host one-on-one ‘Showhow’ sessions and free group tutorials. Dixons claims that the new store is gully aligned with its multichannel strategy. In-store tablets and touch screens at point-of-sale provide customers with more information at their fingertips than ever before, helping them to make informed choices and decisions. Marks & Spencer has added My Offers, a new feature on its iPhone app, which provides customers with exclusive personalised deals, the latest promotions and a dedicated hub to host vouchers that can be redeemed both in store and online to its iPhone app. My Offers will compile deals sent to a customer by email, direct mail or text – allowing registered users to access all of their offers in a single location. These offers can be saved directly into Apple’s Passbook – so customers can quickly and easily add M&S offers alongside other discounts, deals and tickets they have stored on their mobile. Customers will receive an alert when new deals arrive and a reminder when an offer is about to expire. The new app update also enables customers to share selected deals with friends and family via social media. The latest app update includes a number of other new features including one click purchase at the checkout, improved navigation and search functionality. Truworths International Ltd. (TRU), South Africa’s largest listed clothing retailer, fell the most in three weeks on concern that lending growth is slowing and as monthly retail sales in the continent’s biggest economy shrank. The stock slid as much as 3.2 percent, the most since Aug. 27 on an intraday basis, and traded 2.7 percent lower at 89.66 rand by 3:08 p.m. in Johannesburg. About 1.3 million shares traded, or 75 percent of the three-month daily average. The stock is the worst performer on the 11-member FTSE/JSE Africa General Retailers Index today, which fell 1.9 percent. Retail sales contracted 0.5 percent in July on a monthly basis and rose 2.8 percent annually, missing the 3.9 percent median estimate of 14 economists surveyed by Bloomberg, according to Statistics South Africa. African Bank Investments Ltd. (ABL), the nation’s largest provider of loans not backed by assets, said earnings excluding one-time items probably dropped as much as 63 percent in the year through September as bad debts rise and the bank curbs lending growth. “The sentiment toward unsecured lending is still not good,” Chris Gilmour, an analyst at Barclays Plc unit Absa Asset Management Private Clients, said by phone from Johannesburg. The sales figures show “a continued downward momentum,” he said. 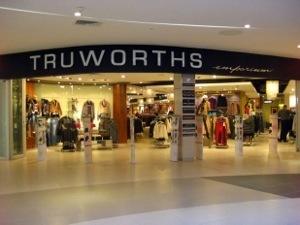 Sales on credit at the Cape Town-based Truworths, which accounts for 72 percent of total retail sales, grew 9 percent in the 53 weeks through June 30, the company said Aug. 22. Unsecured lending levels are unlikely to improve in the current fiscal year, probably constraining credit sales, it said. Truworths dropped 18 percent this year, the third-worst performer on the retailers’ gauge, which has retreated 9.8 percent. The FTSE/JSE Africa All-Share Index (JALSH) has rallied 11 percent in 2013. 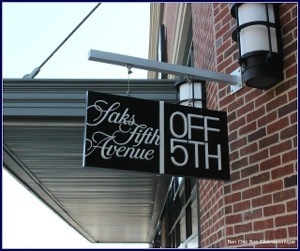 New York – Saks Inc. plans to open seven new Saks Fifth Avenue Off 5th stores in 2014: The Outlets at Bloomfield in Pearl, Miss. ; Potomac Mills in Woodbridge, Va.; Palm Beach Outlets in West Palm Beach, Fla; Outlet Shoppes at Louisville/Lexington, Ky.; Twin Cities of Eagan in Minneapolis, Minn.; The Mayfair Collection in Mayfair, Wis.; and Easton Gateway in Columbus, Ohio. The stores will range from 25,000 sq. ft. to 28,000 sq. ft. and will be modeled in Saks Fifth Avenue Off 5th luxury-in-a-loft store design. Since its debut in 2008, the design has maximized efficiency and flexibility, enabling easy changes in the general layout. The new stores will be bright and uncluttered, with no hard aisles and one consistent, hard-surface floor throughout. All fixtures will be on casters, ensuring ease in movement, and all hardware will be interchangeable between fixtures. Saks currently operates 70 Saks Off 5th stores. 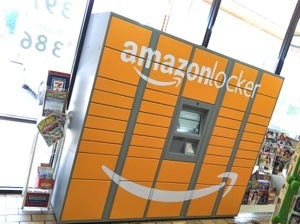 New York — Staples and RadioShack Corp. have removed Amazon lockers from their stores, according to Bloomberg. The chains were among a group of retailers who have been testing the system. According to the report, Staples ended the partnership with Amazon because it didn’t meet the criteria the two companies set up, while RadioShack said the program did not fit with its strategy. Prada SpA (1913), the Italian owner of the Miu Miu and Church’s luxury brands, said the euro’s strength will weigh more heavily on full-year earnings than some analysts anticipate after first-half profit missed estimates. The currency’s appreciation against the yen and the dollar “may be possibly not fully considered in some of the forecasts that we have seen coming from the market at the moment,” Chief Financial Officer Donatello Galli said on a conference call. The euro has gained about 4.6 percent this year, the best performer of 10 developed-nation currencies tracked by Bloomberg Correlation-Weighted Indexes. The advance is taxing companies such as Prada, which got more than half its revenue outside of Europe in its last financial year. Amid an economic climate described by Chief Executive Officer Patrizio Bertelli as “uncertain and extremely volatile,” sales growth at the Milan-based company has slowed in September, Prada said. The company’s comments “might be taken negatively near-term and delay Prada’s share price recovery,” said Thomas Chauvet, an analyst at Citigroup Inc.
Prada fell 2.1 percent to HK$77.95 at 3:15 p.m. in Hong Kong trading. The benchmark Hang Seng index lost 0.1 percent. First-half net income rose 7.6 percent to 308.2 million euros ($412 million), Prada said yesterday, less than the 321 million-euros average of five estimates compiled by Bloomberg. The slowdown in sales this month followed a “fairly good” August, Prada said. The weakness was most noticeable in some parts of Europe and the Middle East as the situation in Syria hurt tourist flows, Galli said. Prada, which plans to open as many as 80 stores this year, said it will keep “close attention” to be able to respond to a “possible sudden change of conditions.” The 100-year-old company had 491 directly-operated stores at the end of July. First-half revenue growth slowed to a third of the rate in the same period last year as demand for luxury goods cooled in China, the world’s second-largest economy. Sales in the period gained 12 percent to 1.73 billion euros. Sales at stores open at least a year rose 7 percent and will gain at least that amount in the second half, Galli said. 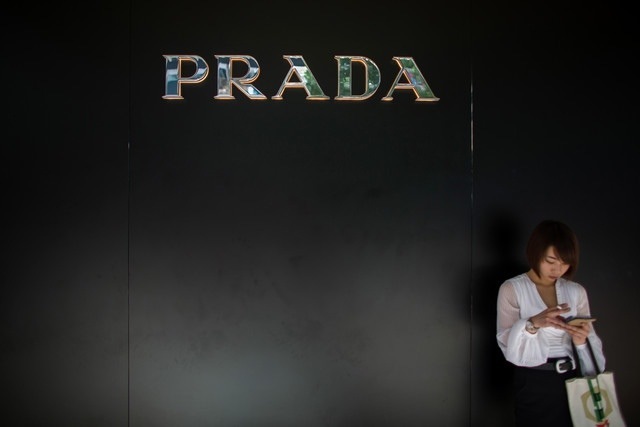 Earnings before interest, taxes, depreciation and amortization advanced 17 percent to 551.1 million euros, widening as a percentage of sales as Prada adjusted its product mix and increased prices, it said yesterday. High rates are among the factors being blamed for a slump in retail trade as another fashion stalwart vanishes from Northern Ireland. French Connection is the latest well-known brand to fall victim to the downturn as its stores and concessions appear to have left the province’s high streets and shopping centres for good. The high-end fashion retailer shut its last Northern Ireland standalone shop in Belfast’s Cornmarket in July – and founder and chief executive Stephen Marks revealed that other so called ‘zombie outlets’ were spared only because closures by other businesses meant that French Connection was unable to offload its shops without incurring further costs. The Northern Ireland stores were run on a franchise model by Julian Jordan, and were an important destination for fashion-conscious shoppers for well over a decade. He was not available for comment yesterday. It had a presence through concessions in shopping centres – including Victoria Square’s House of Fraser and in the Tempest section of Menary’s shops – but a spokesman for French Connection yesterday confirmed they had all been closed. The loss-making fashion house has 74 stores across the UK and Europe – following the closure of its shops in Belfast in July and in Londonderry’s Ferryquay Street a few months before – but sales continue to slump. Like-for-like sales in the company’s UK and Europe outlets were down by 4.5% in the six months to the end of July, and pre-tax losses narrowed only slightly from £6.3m to £6.1m. Colin Mathewson of commercial property consultants Osborne King said he believed rates were among the factors to blame for the high number of vacant shops. “The biggest thing is that the the cost of rates is probably one of if not the biggest stumbling block to leasing retail units at the moment,” he said. He added it was the “singlemost (significant) thing that recurs” to explain why retailers are reluctant to open up in Northern Ireland. He said landlords were doing “more than their part” in assisting prospective tenants by negotiating rates to fill empty units rather than leave them vacant. “But rates are fixed,” he said, preventing any similar renegotiation of terms. The news that yet another former big name brand has foundered here follows statistics which show that the number of shoppers who made purchases fell in August fell by 1.5%. 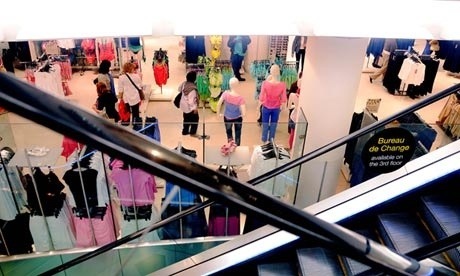 August’s disappointing figures marked the worse statistics in the whole of the UK where shopper numbers were down 0.9%, according to Northern Ireland Retail Consortium figures. There had also been high expectations that events like the World Police and Fire Games and the All-Ireland Fleadh would give a much needed boost. Bahrain-based fund Investcorp is one of several investors who have expressed a preliminary interest in buying a stake in Versace, one of Italy’s best-known luxury brands, sources close to the situation told Reuters. According to the sources the list of those interested includes Italy’s strategic fund FSI, AXA Private Equity, UK-based private equity fund Permira and Italy’s Clessidra. 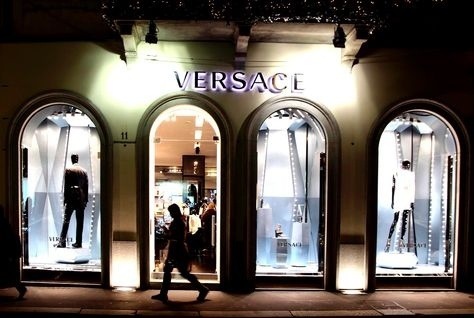 Versace is expected to sell a stake of 15-20 percent. The sources said Versace’s advisers were looking to define within days a list of four of five players with which to start more concrete discussions. China’s Fosum and South Korea’s E-Land, two of the several names that had been circulating in the press, have said they are not interested while sources with knowledge of the situation told Reuters on Monday Qatar was looking less likely to bid despite holding talks with the group earlier this year. Deputy Prime Minister, Nick Clegg has announced that a 5p charge for carrier bags will be introduced from Autumn 2015. The government said over seven billion carrier bags were issued by supermarkets in England last year, with many ending up in landfill or scattered around streets, costing tax-payers millions of pounds to clean-up. 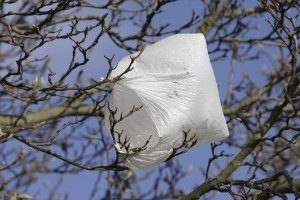 Deputy Prime Minister, Nick Clegg, said: “Plastic carrier bags blight our towns and countryside. They take hundreds of years to degrade and can kill animals. “This is not a new problem. We’ve waited too long for action. That’s why I am drawing a line under the issue now. The charge will be implemented sensibly – small businesses will be exempt. Environment Minister Lord de Mauley said: “We have all seen the effects of discarded plastic bags caught in trees and hedges or ending up in rivers where they harm animals. The charging scheme in England is expected to follow the Welsh model in which retailers voluntarily give profits to charity. Small businesses with fewer than 250 employees will be exempt from the charge to ensure that they are not disproportionately burdened by the charges. Commenting on the announcement, Association of Convenience Stores public affairs director Shane Brennan said: “Retailers share the environmental concerns about the impact of single use carrier bags and have worked over a number of years to reduce the amount of bags they give away. “Our experience in Wales has been positive. Retailers have seen a significant decline in the amount of bags given away and no significant impact on sales. We welcome the introduction of a similar scheme in England. “This experience has contributed to a situation where more than 60% of independent retailers now support mandatory carrier bag charging. We will consider carefully the proposals that are announced and stress the need for the scheme to reflect the model in Wales which is designed to minimise the red tape burden on shops, and give local shops the freedom to use the money raised from bag charges to donate to the charities they choose. Ken Parsons, chief executive of the Rural Shops Alliance, said: ”Experience in Wales and Northern Ireland, where similar compulsory levies are already in place, suggests that the measure can be effective in changing customers’ attitude to carrier bags and reducing their use massively. Marigay McKee, chief merchant at Harrods, is in line to be named as the new president of Saks Fifth Avenue. The appointment of Ms McKee, who has run Harrods since 2011, would further highlight the global standing of Britain’s luxury goods industry as London Fashion Week draws to a close. The move would involve Ms McKee swapping one of London’s best-known shops for one of New York’s. Saks is in the process of being taken over by Canadian retailer Hudson’s Bay Company, which has agreed to pay $2.8bn (£1.8bn) for the business. In a statement on Monday, Saks confirmed that its chairman and chief executive, Stephen Sadove, and its president and chief merchant, Ronald Frasch, would be leaving the business. Reports that Ms McKee was being lined up by Saks initially emerged in the US press. A Harrods spokesman said: Harrods spokesperson: “After 14 years of loyal service to Harrods, Marigay McKee will leave her role of chief merchant to pursue new opportunities. “Marigay has been instrumental in developing Harrods’ exceptional department and brand portfolio, which has been intrinsic to positioning the store as a leading International destination for luxury. 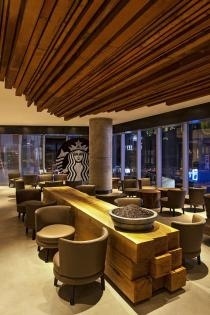 Seattle — Starbucks Coffee Company on Monday opened two flagship stores in Beijing, China. The new Beijing flagship stores were designed by members of the in-house Starbucks global design team and the local Starbucks China Design Studio, one of 18 international design offices worldwide. One store is a “coffee tribute” store at Kerry Center and one is an “eclectic chic” 24-hour store in the Taikoo Li Sanlitun district. The Kerry Center flagship store is a two-story design, built with coffee bars on both the lower and upper levels. It features local design elements, locally sourced artifacts and contemporary furniture. Both the lower and upper level bars are carved and inked with visual images telling the story of how coffee beans are grown, sourced and processed, executed through a creative and modern interpretation of Chinese brush painting. Reflecting the energy of a 24-hour store, the Taikoo Li Sanlitun store has a bold design, with ceiling-to-floor glass windows that present a view of the site’s courtyard, and a window side bar and patio seats. On the weekend, the second floor of the store, called ‘Club 1971,’ in honor of the year that Starbucks was founded, offers aspiring musicians a stage to showcase their talent. Coach wants to keep the competition far away. The retailer doesn’t want competitors like J. Crew, Burberry, or Polo Ralph Lauren in its new New York City office and retail space, according to the Wall Street Journal. 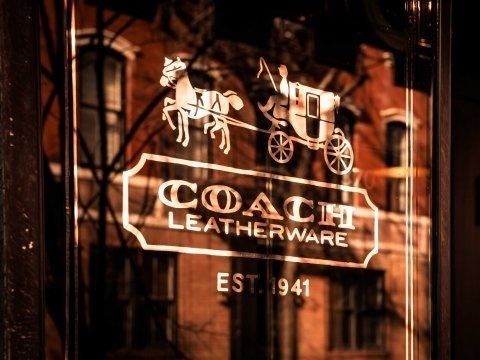 Under the terms of their deal, Developer Related Cos., which is developing the 47-story tower on the far West side of Manhattan, cannot lease space to eight competitors of Coach, according to The Journal. “Developers aren’t permitted to lease space in the 47-story tower to any competitors of Coach—for both retail and office space,” The Journal writes, citing the retailer’s filing with the Securities and Exchange Commission last month. Johannesburg, 10 September 2013 – Edcon has recently confirmed its acquisition of a controlling stake in the companies which hold the local franchise rights to Accessorize, La Senza and Inglot. The group’s acquisition is in line with Edcon’s current strategy to increase its branded content and introduce new international brands to its offering to the benefit of its customers. CEO Jürgen Schreiber is enthusiastic about the acquisition, saying that the group is excited to introduce new high calibre brands to its growing portfolio. He further points out that acquisitions such as this one are based on extensive research around international trends and the wants and needs of customers, as well as the quality of the products in question and their pricing models. “We are careful in selecting brands that, based on our understanding and experience, are complementary to our own well-loved brands,” he adds. Edcon’s latest acquisition will serve to strengthen its existing relationships with the above-mentioned entities. Indeed, Accessorize products are already sold in 20 different Edgars stores countrywide, while La Senza and Inglot are now available in 4 and 20 Edgars stores respectively. With a unique market position as a globally inspired source of the most trendy international fashion accessories, Accessorize South Africa is a local franchise belonging to the highly successful Monsoon Accessorize London. The company boasts an extensive range of accessories and is constantly on the move with new seasonal themes relating to the latest trends. There are more than 1000 Accessorize stores across the world and 22 stand-alone stores in premier shopping malls across South Africa. a part of Limited Brands, La Senza operates from more than 360 stores across the world and 15 stand-alone stores in South Africa. INGLOT cosmetics are based on the simple objective to produce high quality colour cosmetics using the best possible ingredients at reasonable prices. To this end, all INGLOT products are manufactured in the company’s state-of-the-art production facilities in Poland bringing its customers the latest in new colour, texture and make-up trends. With its unique Freedom System, the brand enables clients to experiment with a wide range of product choises such that they can customise their own colour palettes. Importantly, no INGLOT products are tested on animals. INGLOT is sold in 400 different stores worldwide and six stand-alone stores in South Africa. “We are thrilled to embark on this new venture and to be able to introduce our customers to a range of new international brands, offering a compelling and exciting shopping experience” concludes Schreiber. Hennes & Mauritz AB (HMB), Europe’s second-biggest retailer, reported monthly sales that beat analysts’ estimates, sending its shares to a record high. Revenue at stores and operations open at least a year rose 4 percent in August compared with the same month last year, the Stockholm-based company said today. The average estimate in a SME Direkt survey was for a 2.5 percent increase. 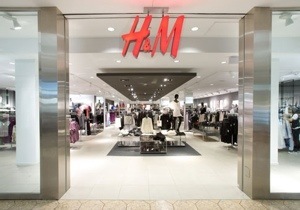 H&M gained as much as 5.4 percent to 262.70 Swedish kronor in Stockholm trading. The shares were up 3.8 percent at 258.80 kronor as of 9:20 a.m.
Total sales in August climbed 14 percent, the retailer said, beating estimates for 12.6 percent growth. H&M also said sales, excluding value-added tax, amounted to 32 billion kronor ($4.91 billion) in the three months ended Aug. 31. 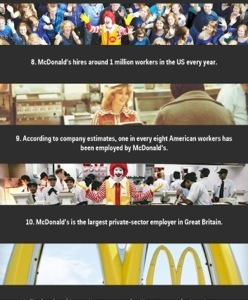 That compared with an average estimate of 31.6 billion kronor in a Bloomberg survey of analysts. The company had 2,964 stores at the end of August, up from 2,629 a year earlier. It has said it plans to add a net 350 new stores this year. H&M is due to report third-quarter earnings Sept. 26. 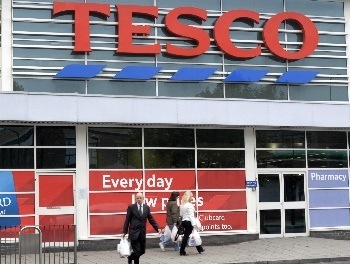 Supermarket chain Tesco is to create 200 new jobs as part of an expansion. 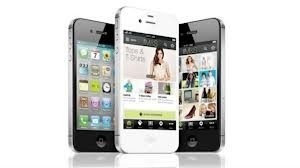 The company has announced plans for seven new stores and six mobile phone shops across the country. 80 of the jobs will be filled before the end of the year as part of the €70 million investment. The announcement was being made in Cork, where Tesco is opening a new express convenience store on Douglas Road. It is one of five due to open this year, with the others in Dublin. The company is to hire another 14 staff to work in mobile phone shops in existing stores, while eighteen graduates are being hired for its head office. Tesco said 120 new jobs will be created when it opens two new stores next year in Dundalk and Dun Laoghaire. The retailer already employs 15,000 staff in Ireland, and is one of the country’s biggest private sector employers. The company is said to be worth €2.7 billion to the Irish economy. 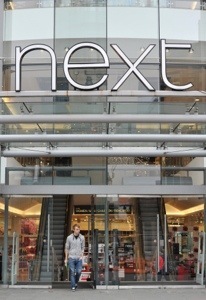 The retailer is also recruiting 18 third level graduates, as part of its company’s graduate jobs and training schemes. These graduates will be based in stores around the country and at Tesco’s head office in Dun Laoghaire and will involve training internationally as well as Ireland. The new “Express convenience stores” will be in Cork (Douglas Road), College Green (Dublin), Dorset Street (Dublin), Leonards Corner (Dublin), and Glasnevin Avenue (Dublin). The new Tesco Mobile phone shops will be in Maynooth, Tallaght, Drogheda, Clearwater (Dublin), Wilton (Cork), and Clarehall (Dublin). Dubai: Cosmetics retailer Lush is planning to open four stores in the UAE by next year, bringing the total number of stores in the country to 11. With the new openings, the retailer, which has 17 stores in the Middle East, is taking advantage of the demand in the region. Sales in the UAE is up “ by 30 per cent from January to June,” compared to the same period last year, Karl Bygrave, director of Lush told Gulf News in an interview on Wednesday. The retailer is considering opening mall-based and high-street stores in Dubai, Abu Dhabi and Al Ain. It plans to have 20 stores in the UAE within five years. Lush is looking to capitalise on consumers’ online buying. It already has a dedicated website for UAE customers, and aiming for online sales to account for 25 per cent of the total in the future, says Bygrave. Globally, online sales make up between eight and nine per cent of total sales, he added. Lush is also working on introducing new product categories. But for now, “we are working on expanding the make-up and fragrances categories, he said. Lush introduced the make-up category last year, and fine fragrances the year before. The fragrances have attracted strong demand. “The fragrances sell double here than in anywhere else in the world,” he said. Arab buyers are looking for “effective products” that are not necessarily the latest, he said. Lush’s Dubai Mall store is among its top ten stores in the world. 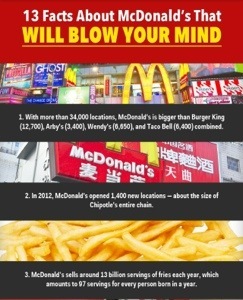 It has 900 stores in 50 countries. 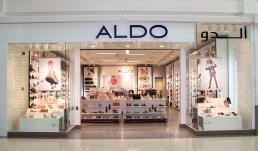 Dubai: Shoe and accessory brand Aldo plans to open five stores in Abu Dhabi in the last quarter of this year, Sachin Banodkar, general manager of Aldo Group International Brands told Gulf News in an interview. The stores will be a mixture of Aldo Group’s brands, including Aldo Footwear, Aldo Accessories and Call it Spring. There will be three stores in Deerfields Townsquare mall, and two in Ruwais Mall, which are expected to open in October and November, respectively. In addition, two stores are planned to open in Qatar and two in Kuwait next year. The majority of Aldo’s customers are women. The female product categories account for “between 50 and 55 per cent” of its sales, he said. The Aldo Group has 95 stores in the GCC, including the UAE, Kuwait, Bahrain, Qatar and Oman. The retailer recently opened its new flagship store at Ibn Battuta Mall, covering an area of 5,984 square feet. HYDERABAD: Swedish retailer IKEA could locate its first store in Hyderabad, likely choosing a city which is a bone of contention in a state trying to cope with tumult because of an impending bifurcation. 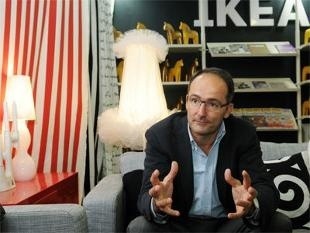 IKEA, whose India plan won final approval in May, will invest at least $100 million (. 630 crore) in Andhra Pradesh’s capital, according to two state government officials who met the company’s India head Juvencio Maeztu on Wednesday. Maeztu himself was not available for comment. The choice of Hyderabad at this juncture would indicate the retailer’s confidence in the attractiveness of the city as an investment destination. After the Congress threw its weight behind the creation of Telangana by carving out 10 districts from Andhra Pradesh, the state has been witnessing daily protests by groups opposed to such a move. Both sides are laying claim to Hyderabad, which is home to companies such as Google, Microsoft and Facebook. 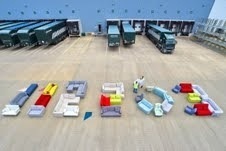 IKEA has said that it will invest more than . 10,000 crore to set up 25 stores in India. It has said that the first round of investment will happen in Haryana, Andhra Pradesh, Maharashtra and Karnataka. Last month, Maetzu met Haryana chief minister Bhupinder Singh Hooda. IKEA has committed to source 30% of its inputs locally from small businesses to comply with the conditions laid down by the government. At least 1,000 people will be employed directly once the store opens, a state government official said. El Segundo, Calif. — JustFab, the online fashion subscription retailer, has opened a 3,000-sq.-ft. flagship at the Glendale Galleria, Glendale, Calif. It is the company’s first physical store. “We have created the global leader in fashion subscription in just three short years and will now bring our customized shopping experience into physical stores to enable customers to touch and feel our products,” said co-CEO Don Dom Ressler. Launched in 2010 as a web-only fashion brand offering women’s footwear, JustFab has since expanded into international markets and into new product categories such as handbags, jewelry, denim and other accessories. It counts over 33 million members worldwide. JustFab’s retail space was designed to mirror the brand’s online shopping experience, with cohesive, trend-driven collections showcased against sleek white surfaces. Customers are able to shop curated product displays, with trend story videos and in-store personal “stylists” offering inspiration and fashion advice on how to wear the trends featured. Customers can register at the boutique for exclusive VIP member pricing that was previously available online only. Casual shoppers can opt to purchase items at regular retail price. JustFab has merged technology and fashion at its retail store to deliver an efficient and seamless shopping. The company’s product team custom-engineered a proprietary retail application that maximizes sales floor efficiency, allowing stylists to focus on providing superb customer service. Using the app’s floor activity toolsets, JustFab associates are able to check inventory instantly or to send product requests from anywhere within the boutique on their iPad mini devices, eliminating the need for associates to physically check inventory or pull requested styles from the stockroom. The retail app also makes it easy for stylists to create wishlists for customers, or to get real-time status updates of customer requests. Marks & Spencer is aiming to win back shoppers by making its stores look and feel more like a department store. The change comes as its rival John Lewis looks set to draw level with M&S sales this year. In the 80 largest stores, M&S is dividing its main Collection range of womenswear into defined areas for single products including coats, dresses, denim and knitwear. There will also be casual, smart and tailoring departments. Each area, which in the 15 top stores will be divided into near-separate rooms, will include appropriate accessories such as belts, footwear and scarves as well as mannequins that help to suggest outfits. The Dutchman, who joined M&S more than three years ago from the supermarket chain Morrisons, has overseen a revival in trading in the retailer’s food department. But shareholders have suggested Bolland’s job could be on the line if clothing sales do not show signs of improvement this season after two years of decline. M&S’s new stores were revealed as John Lewis is expected to reveal a 6% rise in half-year profits on Thursday. The department store group is on track to exceed its rival’s UK sales for the first time. Perhaps with the famous service of John Lewis in mind, the new look for M&S is accompanied by “Fashion Camp” retraining for all 10,000 staff working in womenswear to improve their knowledge about the chain’s clothing. Staff are being urged to put aside other tasks to step on to tills if queues build up and to offer advice to shoppers. In three large stores in the London area, including the Pantheon store on Oxford Street, M&S is also testing a more traditional way of selling footwear. The traditional shelves of shoes from which customers help themselves have been largely replaced by stylish displays and with staff on hand to produce the right size from a stockroom. Analysts welcomed the changes but questioned the speed with which shoppers around the country would see a difference in their local stores. They also queried Bolland’s reassurance that the new look would not add to costs. “We think it will take a number of seasons before there is a marked improvement in both like-for-like sales and profits of womenswear and costs are likely to be more significant than expected at the start of the process a year ago,” said Freddie George, an analyst at Cantor. The group, which owns 39 department stores and the Waitrose supermarket chain, said sales rose 7.3% to more than £4.7bn in the six months to July as it won market share from rivals in fashion, homewares and electricals as well as groceries. Waitrose sales rose 7.8% while John Lewis department store sales climbed 6.6% despite the tough economic climate. The partnership had to pay out £40m to employees after the group discovered it had miscalculated holiday pay over several years. It also faced a £15m charge, mostly related to job cuts among department store managers. Those two items wiped 38.5% off half-year profits to £68.5m. The chairman, Charlie Mayfield, said the partnership had no plans for further job cuts “on that scale,” but there could be no guarantee against further restructuring as growth online outstrips high street performance. He expected to keep up the strong pace in the second half of the year as both businesses benefit from a link-up in which John Lewis goods ordered online can be picked up at Waitrose stores. While the department stores continue to see like-for-like growth, Mayfield said two-thirds of customers now shopped via both the stores and the internet, where sales rose 17%. Waitrose sales online rose 41% during the half year and it is to open a second “dark store” to handle demand for home deliveries in London. It is scheduled to open by the second half of next year. Waitrose continues to open more stores with long-term plans to have as many as 600 stores around the country, compared with 300 at present. The grocer said it was encouraging shoppers by signing up 2.5 million to its myWaitrose loyalty scheme, which had helped encourage more return visits. Mayfield said the department stores were now looking at introducing a loyalty programme as a result. Dubai: Mall of the Emirates (MOE), developed by Majid Al Futtaim Properties, announced in a statement on Tuesday that it is undergoing a redevelopment valued at Dh1 billion. “[It] is the largest redevelopment project Mall of the Emirates has embarked on to-date, and will set a compelling standard of design and shopping excellence for the retail landscape,” the statement said. The project, or Evolution 2015, will bring more stores, as well as dining and entertainment options to the mall by 2015. No details were provided on how the project is financed. Phase one, which commenced this summer, will introduce a Dh100 million fashion district across an area of 5,000 sq.metre, and is expected to be completed by early 2014. It will add more than 30 international brands, including debut brands, to the existing options in the area. “The onset of phase one, which will create a unique fashion and lifestyle destination, will complement our existing luxury and mid-market fashion offer,” said Dimitri Vazelakis, executive managing director – shopping malls at Majid Al Futtaim Properties in the statement. MOE is strengthening its fashion category. Over 45 per cent of MOE’s 560 plus stores are dedicated to fashion, the statement showed. Also, last year, 44 per cent of the mall’s total sales came from the fashion category, it said. The mall’s redevelopment will help position itself as new malls enter the market, Mat Green, head of research for the UAE at CBRE, a real estate consultancy told Gulf News. “It is important for Mall of the Emirates to keep improving to maintain its top position in the market. I think there’s good potential for further expansion,” Green said, adding that the “well-established” mall has a good location and customer base. 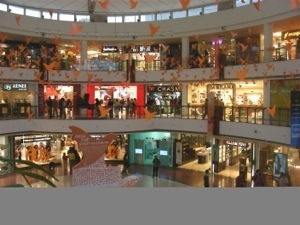 In 2010, MOE launched the Fashion Dome in 2010 over an area of 10,500 sq.m, with more than 80 luxury brands and dining. Some of the new retail projects in Dubai include Nakheel’s mall on the Palm Jumeirah, as well as the Dragon Mart and Ibn Battuta Mall expansion. 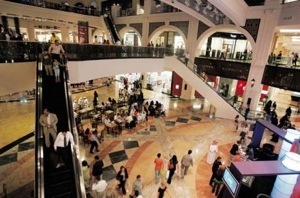 Dubai’s retail sector is strengthening, as the number of tourists and the population increases, according to Green. Retail supply is meeting demand for now, he added. The United Kingdom intends to double the value of trade with Kenya in the next five years, High Commissioner, Christian Turner has said. Turner said this will involve provision support to local retailers wishing to forge links with British companies. Turner was speaking during the opening of the first local store of UK shoe retailer Clarks Footwear at the Thika Road Mall. Trade between Kenya and the UK is valued at £1 billion (Sh130 billion). Turner said the target is to increase it to £2 billion (Sh260 billion) by 2017. The envoy said the existing trade ties are still a major part of the bilateral relations between the UK and Kenya. “The opening of the first Clarks store in sub-Sahara Africa by Nakumatt Holdings is a clear testimony of the British government’s commitment to foster win-win partnerships with Kenya,” Turner said. “We will also encourage partnerships between retailers such as Nakumatt and several leading British companies wishing to expand their market,” Established in 1825 by brothers James and Cyrus Clark, the Clarks Footwear brand has evolved into a leading global footwear retailer with sales in excess of £1.4billion. Nakumatt Holdings recently announced plans to; aggressively pursue a departmental store development project at an investment cost of Sh1.2 billion as part of the firm’s revenue diversification strategy. Nakumatt’s strategy and operations director Thiagarajan Ramamurthy said plans are underway to open three Skechers footwear stores to complete the first phase of the footwear departmental stores rollout. Dallas – Ares Management and the Canada Pension Plan Investment Board have reached an agreement to purchase Neiman Marcus for $6 billion from a group of investors led by TPG Capital and Warburg Pincus, the private equity firms that bought Neiman Marcus for $5.1 billion in 2005. In a prepared statement, Kaplan also said the Neiman Marcus purchase fits Ares’ strategy of accelerating growth in retail and consumer companies. Ares and CPPIB will hold an equal economic interest in Neiman Marcus, and the company’s management will retain a minority stake. Neiman Marcus filed for an IPO in June, but there is no indication an IPO will take place following the purchase. The transaction is expected to close in the fourth quarter of 2013, subject to regulatory approvals and other customary closing conditions. Credit Suisse acted as financial advisor to Neiman Marcus Group, and RBC Capital Markets and Deutsche Bank Securities Inc. acted as financial advisors to Ares and CPPIB, all of which provided committed debt financing in connection with the transaction. Wahat Hili Mall, the latest addition in Al Ain shopping malls, on Monday opened doors for customers, offering 160 retail outlets and Géant Hypermarket. The location of the Mall is expected to result in its visitor numbers crossing 175,000 per week by the end of the year, it said. The mall’s three-storey, 30,000 square-metre gross leasable area development encompasses 160 retail outlets and occupies over 6,900 square-metres of retail space, offering an local selection of perishable and non-perishable goods. Among the other famous names making their first foray into Al Ain are Fitness First, family entertainment centre My Play Zone and electronics anchor E-Max, while a deal with Landmark Group sees the addition of Baby Shop, Splash, Shoexpress and Lifestyle. Local, regional and international brands make up 65 per cent of the mall’s gross leasable area (GLA), with more to confirm their tenancy soon. It also hosts 14 casual dining and 13 food court outlets for the mall visitors. The restaurants, cafes and fast food facilities include Baskin Robbins, Burger Hood, China Wall, Fresco, Jamaica Blue, La Brioche, Le Bistro, McDonald’s, Papa John’s Pizza, Pizzaro ,Salamlek, Solidair Restaurant and Subway. Food and beverage outlets make up 22 per cent of the mall’s GLA. The centre occupies a strategic location in Al Ain’s Hili District, a thriving tourist area and bustling suburb in the north of the city. The mall occupies a total of 6.5 hectares of prime real estate and is surrounded by arterial routes to Abu Dhabi, Dubai and Oman. Guests to the mall from further afield who require an extended stay can enjoy the comforts of the adjacent Hili Rayhaan by Rotana, a five-star hotel with over 250 rooms. John Lewis has announced today its new at home shop in Ashford will open its doors to customers at 9am on 7 November 2013. Located on a site close to junction 9 of the M20 in Kent, John Lewis at home Ashford will focus on furniture, furnishing accessories, electrical and home technology. The 40,000sq ft shop will be spread across two floors and will be the retailer’s tenth at home shop. Customers will also have a wide range of services on offer including computer terminals for browsing the wider johnlewis.comassortment, as well as the free John Lewis Click and Collect service which allows shoppers to order products online before 7pm and collect them at the branch after 2pm the following day or opt for home delivery. The shop will feature a customer cafe and additional services include the John Lewis Gift List, the Home Design Service and the newly launched ‘Any shape, Any Fabric’ service which lets customers design their own sofas and chairs by choosing from more than 250 frames and 400 fabrics. Glynis Gunning-Stevenson, branch manager, John Lewis at home Ashford, said: “I’m delighted to be announcing the opening date of John Lewis at home Ashford and together with my team of Partners (staff) will be excited to welcoming customers through the doors come Thursday 7 November. Gerry Clarkson, leader of Ashford borough council said: “This is really positive news, we look forward to the 7th of November. 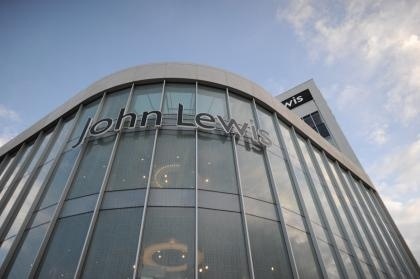 We have said all along that John Lewis is exactly the type of company we want to attract to the borough and I believe that when such a successful name with a strong reputation for high quality invests in your area it demonstrates the confidence that exists in Ashford as a place to do business. Ashford weathered the economic downturn well and this is evidence of the exciting period that now awaits us. John Lewis at home Ashford will be open Monday to Friday from 9am until 8pm, Saturday from 9am until 7pm and Sunday from 10.30am until 5pm (plus Sunday browse time from 10.30am until 11am). Primark is axing its internet experiment to sell its fashion on the Asos website and is to open one million sq foot of retail space, defying the retail industry switch to online, as its sales continue to surge ahead. While other clothing retailers are pulling away from the high street, the budget clothing chain is opening more stores in the UK and stepping up expansion abroad after revealing that it expects a 22% surge in sales in the year to 14 September. Profit margins were also up as the retailer benefited from lower cotton prices and was able to clear more of its summer ranges thanks to the long spell of warm weather. Desirable fashions such as coloured jeggings, mini-skirts and logo sweatshirts helped boost underling sales to close to 5% for the full year while Primark also gained from opening several new stores. 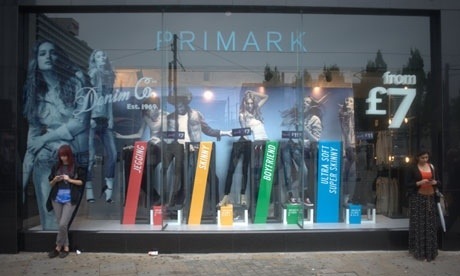 The sales boost came despite Primark’s involvement in the high-profile factory disaster in Bangladesh where more than 1,200 workers died when the Rana Plaza building collapsed. He added that Primark was also benefiting from greater consumer confidence in the UK. “The pressure on disposable income has clearly come off, it is not getting any worse, but consumers are careful in how they are spending money,” Bason said. Despite that, Primark is not renewing a trial with online retailer Asos which comes to an end in the next few weeks and does not currently intend to try selling online with other partners or via its own website. Instead, Primark will be improving its website to “showcase” products more effectively and to make it more interactive. Primark will open less new space in the UK this financial year but will nearly double the pace of growth abroad as it moves into France with its first store opening in Marseille in December and four more stores by September next year. New outlets are also planned in Holland, Spain and Germany. In the past year parent group ABF has opened 16 new Primark stores, bringing the total to 257 shops or 9m sq feet of selling space. Elsewhere in the group, grocery revenues and operating profit improved, with ABF’s Twinings and Ovaltine brands doing well. However, profit from its Silver Spoon brand will be lower because of an especially competitive year within the UK packed sugar market, it said. Revenues and profit in its agriculture business will also be higher than last year, while but the sugar divisions’ profits are likely to be lower than expected, analysts said. The food and retail group said its British Sugar business produced 1.14m tonnes of sugar, less than the 1.32m tonnes produced the year before as a result of poor growing conditions during 2012, which led to lower beet yields and sugar recovery. “Looking forward to 2013-14, crop yields are expected to be slightly below average but we expect sugar production to at least achieve sales quota,” it said in the update. Bason countered that ABF’s grocery business continued to see growth, but the shares closed down 33p at £18.18. A year ago they were changing hands at £12.89. The FTSE 100 company will publish its full-year results on 5 November. Carphone Warehouse Ireland, the mobile phone retailer, has entered a partnership agreement with Australian chain Harvey Norman that will create up to 80 new jobs over the next two months. Carphone will open 12 concession stores, one within each of Harvey Norman’s Irish electronics outlets, with the first three Dublin stores due to be operational by the end of the week. The mobiles retailer says it also hopes to strike similar concession deals with a number of “supermarkets and department stores” after Christmas, although it declined to provide further details. The agreement with Harvey Norman will see Carphone staff operate the concession stores, while the Australian retailer will provide the retail floor space. 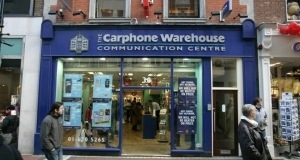 The tie-up will operate as a joint venture and the two companies will “share the profit margins”, according to Peter Scott, managing director of Carphone Warehouse Ireland. The arrangement has been on trial at Harvey Norman’s Airside Retail Park outlet in north Dublin since last year. Scott said yesterday that the Swords concession generated revenues higher than the average among Carphone Warehouse’s 80 Irish standalone stores. Two more concessions will open this week at Blanchardstown and Nutgrove retail parks. Nine more will open by early November at the rate of one a week, in locations including Cork, Waterford and Limerick. Scott said Carphone Warehouse had expanded rapidly during the boom through entering “onerous” leases and it would have been “impractical” to open more standalone stores. The concession model, he added, gave it the opportunity to continue expanding without entering more leases. 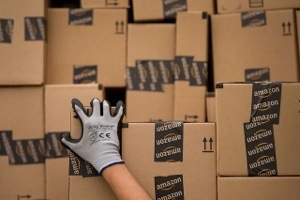 Amazon.com Inc. (AMZN) has no plans to introduce a phone this year, said Drew Herdener, a spokesman for the Seattle-based e-commerce company. Technology blog Jessicalessin.com reported Sept. 6 that Amazon will offer a free smartphone. Herdener said in an e-mail yesterday that if Amazon were to offer a phone in the future, the device won’t be free. Amazon has been developing a smartphone that would vie with Apple Inc.’s iPhone and devices that run Google Inc.’s Android operating system, two people familiar with the plan said last year. Foxconn International Holdings Ltd. (2038), the Chinese mobile-phone maker, has been working with Amazon on creating a phone, a person with knowledge of the matter said at the time. Amazon, led by Chief Executive Officer Jeff Bezos, has been acquiring patents that cover wireless technology to help it defend against allegations of infringement, other people familiar with the situation said last year. 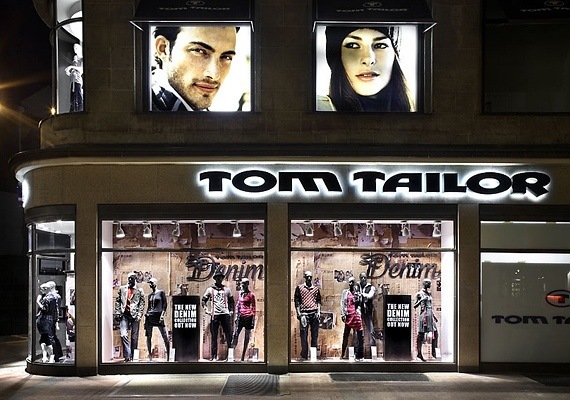 Hamburg, 5 September 2013 – TOM TAILOR GROUP is expanding its international position with its entry into the South African market. Since July 2013, TOM TAILOR has opened already twelve shop-in-shops and a franchise store in South Africa”s leading economic hubs. The expansion strategy in the South African market is focussed on developing the wholesale business with the TOM TAILOR umbrella brand. To open up new sales markets, TOM TAILOR GROUP has entered into cooperation with local partner Edcon. Edcon is South Africa”s biggest non-food retailer and has a well-developed infrastructure and market expertise thanks to more than 1,300 points of sale. “The launch of TOM TAILOR in South Africa is very exciting as we own 100% of the franchise rights in South Africa enabling us to deliver the experience through both standalone and shop-in-shop formats. This is part of our ongoing strategy to be the destination for brands and fashionable on-trend merchandise for South African consumers,” says Edcon CEO Jürgen Schreiber. The TOM TAILOR GROUP is an international fashion and lifestyle company offering stylish casual wear and accessories in the medium price range through its umbrella brands TOM TAILOR and BONITA. The TOM TAILOR umbrella brand comprises the brands TOM TAILOR, TOM TAILOR Denim and TOM TAILOR POLO TEAM. Its collections are aimed at customers aged between 0 and 40 and are marketed in more than 35 countries via its wholesale and retail segments. BONITA, one of Germany”s leading fashion brand producers and retailers, has been a part of the TOM TAILOR GROUP since August 2012. BONITA sells mens- and womenswear collections for the over-40 age group. In the first half of 2013, the TOM TAILOR GROUP reported sales of EUR 407.0 million, of which EUR 162.5 million was generated by BONITA. The Group has approximately 1,300 own stores in the retail segment. About 1,000 of these are BONITA and BONITA men stores, and 335 are TOM TAILOR stores. The TOM TAILOR brand is also sold via retail partners. Edcon is South Africa”s largest non-food retailer, with a market share of the South African clothing and footwear (C&F) market nearly twice that of its nearest competitor, trading through a range of retail formats. The Group has grown from opening its first store in 1929, to trading in 1,233 stores (at March 2013) in South Africa, Botswana, Namibia, Swaziland, Lesotho, Mozambique and Zambia. Edcon has been recognised as one of the top companies to work for in South Africa and continues to make significant progress in its employment equity and transformation goals. Our retail businesses are structured under three divisions: Edgars division, including Edgars, Boardmans, Edgars Active, Edgars Shoe Gallery, Red Square and the Group”s mono-branded stores such as Topshop Topman, Tom Tailor, Dune, Lucky Brand and T.M. Lewin whose product is also available through Edgars stores, serves principally middle and upper income markets; Discount division including Jet, JetMart and Legit, serves principally middle to lower income markets; and CNA, the Group”s stationery, books, games, movies, music, hi-tech electronics and mobile retailer. The Edcon Credit and financial services division provides credit and insurance products to the Group”s customers. With the launch of its Thank U loyalty program, Edcon now has the largest retail customer database in South Africa with approximately 10 million customers. This enables Edcon to provide customers with relevant offerings across its suite of retail and financial services products. The 19th Dubai Shopping Festival (DSF) will take place on Jan. 2 next year, kicking off Dubai’s events calendar for 2014. The biggest shopping extravaganza in the Middle East helped to attract 4.66 million visitors during the same period last year, mainly from Russia, Saudi Arabia, India and the United Kingdom. The increased flow of tourism has a knock-on effect for Dubai’s hospitality sector, with hotels reporting a rise of 4.7 percent last year with occupancy rates hitting 90 percent. The Dubai Festivals and Retail Establishment (DFRE), part of the Department of Tourism and Commerce Marketing, run the month-long shopping extravaganza. Laila Suhail, chief executive of DFRE, said: “We are very pleased to announce the dates for the next edition of Dubai Shopping Festival, the region’s best entertainment and shopping extravaganza. 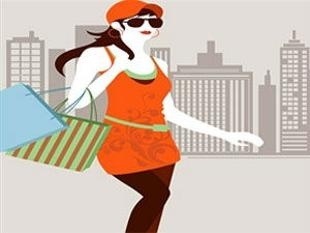 MUMBAI: Iconic American brand ‘The Limited’ is planning to enter India by opening over five stores early next year joining the league of its global rivals such as Zara and Forever 21 in the country’s women wear market worth Rs 78,500 crore. Founded in 1963, the women apparel label was the foundation brand for Limited Brands, a retailing empire that now includes the Victoria’s Secret and Bath & Body Works and remained part of that enterprise until five years ago when it was acquired by the investment firm Sun Capital Partners, Inc.
“We are helping the brand enter India through licensing where the partner will open stores as well as produce the garments in India. Within the high-fashion market, the positioning is somewhere between Mango and Zara ,” said Gaurav Marya, founder of Bradford Licensing which is helping the US brand find a company that can produce quality merchandise within India and also roll-out large number of stores. Since the last few years, a host of global brands have entered the women wear market including Zara and Vero Moda which has been growing at a fast clip. In fact, Marya attributes the timing of India entry launch to relative success of Zara which clocked sales of Rs 405 crore during financial year ending March 2013 within four years of its launch in India. More than one dozen single brand retailers are said to be sizing up the Indian market for entry, many of them in various stages of researching, partner scouting or filing for government approvals. Some of these includes Swedish fast-fashion retail giant Hennes and Mauritz (H&M), the largest casual wear retailer in the United States Gap Inc and Japanese brand Uniqlo. “India is still underbranded in the women wear segment compared to global standards,” said Govind Shrikhande, MD of Shoppers Stop. “The challenge will be to get the pricing and sizes right for Indian consumers.” According to a report by Boston Consulting Group last year, spends on apparel is expected to increase almost four-fold to $225 billion in India over the next seven-eight years. After six years of restricting foreign ownership in single-brand retail companies to 51%, India removed this sectoral cap in January last year and allowed global firms such as IKEA and Zara, which sell a variety of products under a single label, to set up fully-owned companies in India. However, the original policy change came with a requirement of 30% local sourcing, but the government last September diluted that condition after overseas firms raised concerns that it was not feasible. Italian luxury goods firm Bulgari is seeking government’s permission to set up retail stores in India, according to reports. Media reports said that Bulgari, has made an application to the Foreign Investment Promotion Board (FIPB) for its investment under the single-brand route. Rome-headquartered Bulgari was founded in 1884 by silversmith Sotirio Bulgari as a single jewellery shop. Bulgari S.p.A. is the parent company and the owner of the brand. With an international distribution network of 295 stores, of which 174 are owned, Bulgari operates through the travel retail and domestic channel. Saudi Arabian retailer Fawaz Abdulaziz Alhokair plans to open nearly 250 stores at home and abroad this financial year, a top executive said, as the kingdom’s booming retail sector provides a platform to expand into new markets. Alhokair has benefited in recent years from a buoyant consumer goods sector, boosted by rising incomes on the back of government efforts to improve the plight of Saudi nationals after the 2011 Arab Spring. The average salary in the kingdom jumped by about 55 percent between 2009 and 2012, HSBC data shows, partly thanks to measures including increased public sector employment and a new minimum wage. The trend has been noted by investors, with Alhokair’s share price climbing nearly 91 percent in the year to Sept. 3, against the wider Saudi market’s 15.2 percent gain. Alhokair net profit rose nearly 37 percent year on year in the three months to June 30, and President Abdulmajeed Alhokair told Reuters this week that it now plans to strengthen its presence both at home and abroad, with the Commonwealth of Independent States (CIS) a particular focus. “The company opens 200 stores every year, but this year the number will be a bit higher because of the new brands and new locations in Saudi,” he said, referencing franchises such as Mango and Stradivarius, which it secured through its purchase of Nesk Group last year. Alhokair owns franchise rights to market 75 international brands in the Middle East, including Zara, Marks & Spencer, Gap, Aldo, Monsoon, Accessorize and Topshop. It has about 1,300 stores worldwide in countries including Jordan, Egypt, Morocco and Kazakhstan. “We will open in Saudi and the Middle East around 250 stores – on average one shop every day and a half,” the president said, adding that about 170 of these would be in its home market. Acquisitions are also part of the company’s growth plans. Alhokair said the firm is in talks to buy two companies in Saudi, though he declined to give details. Its expansion is partly supported by a 50 percent capital increase from a bonus share issue agreed in July, which took its paid-up capital to SR1.05bn ($280 million). One country currently excluded from the expansion drive is Egypt, which despite providing strong growth from its 70 stores continues to suffer from political turmoil since the removal of President Mohamed Mursi by the armed forces in July. “We had two tough months but from the beginning of the year until now it’s positive growth in Egypt – like-for-like growth is 13 percent, which is a good indication despite the current conditions,” Alhokair said. 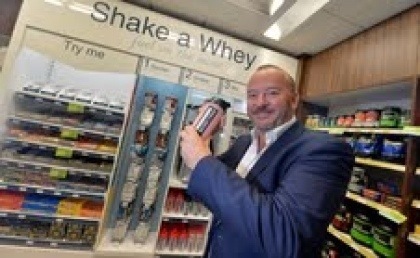 Mr Duddy, 57, has been at Home Retail Group for 15 years, seven of those as chief executive. He said on Wednesday morning that he would step down by the company’s annual general meeting on July 2 next year. Home Retail Group has not appointed a successor, and says chairman John Coombe will identify both internal and external candidates. Mr Duddy’s departure comes as Argos and Homebase emerge from five years of sales declines by revamping their operations. Argos has been squeezed by the rise of online retailers such as Amazon, while a shrinking DIY market hit Homebase last year. The businesses posted their first rises in like-for-like sales in half a decade this year, as Mr Duddy unveiled a turnaround plan for Argos based around click-and-collect online orders. Poor performances in recent years have seen Home Retail miss targets, leading to Mr Duddy’s bonuses repeatedly cut. Mr Coombe heaped praise upon Mr Duddy as the chief executive’s resignation was announced: “Terry is one of the longest serving chief executives in the industry and he has provided strong leadership during one of the toughest periods of economic uncertainty faced by the business,” he said. Mr Duddy was chief executive of Argos when GUS, Home Retail’s predecessor, acquired the retailer in 1998. He then went on to be made chief executive of Home Retail in 2006. 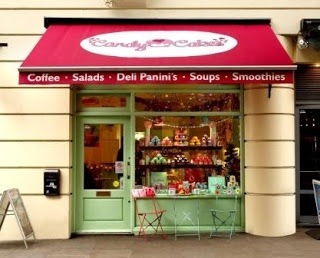 Dubai: Candelite, a confectionary brand under Landmark Hospitality, said on Wednesday it has signed a franchise agreement with UK-based cupcake retailer Candy Cakes. The confectionary market has seen a “94.7 per cent growth in the UAE for the past six years,” Manish Jeswani, business head at Candelite, said at a conference in Dubai. Candy Cakes is already sold at five locations across Dubai, Abu Dhabi and Ajman, including Ibn Battuta Mall, Mirdif City Centre, Shatha Tower in Media City, Centrepoint in Abu Dhabi’s Marina Mall, and Ajman City Centre. Candelite hopes to bring the brand to another nine locations — a total of 14 locations in the UAE by mid 2014, with a blend of standalone stores and stores within stores. “We should be accessible by price and location,” Jeswani said. The company is also investing “$10 million” to grow Candy Cakes across the GCC (Gulf Cooperation Council), according to Jeswani. “We don’t have a timeline,” he said. When asked about the value of the franchise agreement, Jeswani declined to comment. Candelite has exclusive franchise rights for Candy Cakes for the Middle East, he said. Meanwhile, asked about expansion plans, Sanjay Bahl, COO of Landmark Hospitality, told Gulf News: “We are looking at expansion opportunities all the time,” without divulging details. Landmark Hospitality is a division within the Landmark Group. It operates hotels, fitness and wellness, dining, and entertainment brands. INDIA: Massimo Dutti receives green light on India entry? Inditex-owned fashion brand Massimo Dutti has reportedly had its application to enter India accepted by the country’s Foreign Investment Promotion Board (FIPB). 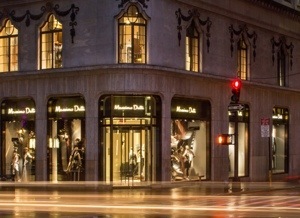 Massimo Dutti was given the green light last Tuesday (27 August), according to a Business Standard report. The move comes a year after the brand’s first application to enter the country through a 51:49 joint venture between Netherlands-based Zara Holding and Tata Group’s retail division Trent was rejected. In January, the Indian government agreed to allow 100% foreign direct ownership in single-brand retail. The move was aimed at attracting investments in production and marketing, improving the availability of goods, encouraging increased sourcing of products from India and enhancing the competitiveness of Indian companies. The Indian government earlier this month eased restrictions on foreign investment into the multi-brand retail sector, nearly a year after initial reforms were introduced. A spokesperson for Inditex told just-style that the company has not received any communication about the application. The FIPB, meanwhile, has not yet responded to requests for comment. 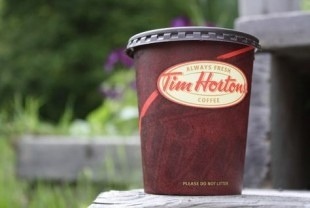 Tim Hortons officially opened its first restaurant in Kuwait on Saturday, marking the company’s 32nd location in the GCC. The Canadian Minister of International Trade, the Honourable Ed Fast, served the restaurant’s first cup of coffee after shooting a ceremonial puck onsite at The Avenues Mall in Kuwait City. The expansion is part of the company’s international strategic plan announced in 2011, to open 120 restaurants in the GCC by the end of 2015. “Together with our partner in the GCC, the Apparel Group, we are thrilled to celebrate the opening of the first Tim Hortons Cafe and Bake Shop in Kuwait,” said Tim Hortons CEO David Clanachan. Since opening the initial five UAE locations in December 2011, the first official Tim Hortons drive-thru location is slated to open in Abu Dhabi this fall. The company also entered Oman with two locations in 2012. In February 2011, Tim Hortons signed a Master License Agreement (MLA) with The Apparel Group, to open 120 multi-format restaurants in the UAE, Qatar, Bahrain, Kuwait and Oman in a five-year period.